Wheels: 18 5 Split-Spoke Alloy (Style 5033), Voice Recorder, Valet Function, Trunk/Hatch Auto-Latch, Trunk Rear Cargo Access, Trip Computer, Transmission: 8-Speed ZF Automatic -inc: 8HP45, black gearshift change paddles, Tires: 18, Tire Specific Low Tire Pressure Warning, Systems Monitor. This Jaguar XF has a powerful Intercooled Turbo Premium Unleaded I-4 2.0 L/122 engine powering this Automatic transmission. *This Jaguar XF 25t Premium Has Everything You Want *Side Impact Beams, Seats w/Leatherette Back Material, Remote Releases -Inc: Power Cargo Access and Power Fuel, Remote Keyless Entry w/Integrated Key Transmitter, Illuminated Entry and Panic Button, Rear Fog Lamps, Rear Cupholder, Rain Detecting Variable Intermittent Wipers, Radio: Meridian 380W Sound System -inc: InControl touch w/8 capacitive touchscreen, dynamic volume control, Bluetooth connectivity and audio streaming, iPod integration, HD radio and USB, Radio w/Seek-Scan, Clock, Aux Audio Input Jack, Steering Wheel Controls, Radio Data System and 10 Gb Internal Memory, Quasi-Dual Stainless Steel Exhaust w/Chrome Tailpipe Finisher, Proximity Key For Push Button Start Only, Power Tilt/Telescoping Steering Column, Power Rear Windows, Power Rear Child Safety Locks, Power Door Locks w/Autolock Feature, Power 1st Row Windows w/Front And Rear 1-Touch Up/Down, Perimeter/Approach Lights, Perimeter Alarm, Passenger Seat, Outside Temp Gauge. * Visit Us Today *Come in for a quick visit at Jaguar Palm Beach, 915 S. Dixie Hwy, West Palm Beach, FL 33401 to claim your Jaguar XF! Wheels: 18 5 Split-Spoke (Style 5033), Voice Recorder, Valet Function, Trunk/Hatch Auto-Latch, Trunk Rear Cargo Access, Trip Computer, Transmission: 8-Speed Automatic -inc: 8HP45, black gearshift change paddles, Tires: 18, Tire Specific Low Tire Pressure Warning, Systems Monitor. This Jaguar XF has a powerful Intercooled Turbo Premium Unleaded I-4 2.0 L/122 engine powering this Automatic transmission. *This Jaguar XF 25t Premium Has Everything You Want *Side Impact Beams, Seats w/Leatherette Back Material, Remote Releases -Inc: Power Cargo Access and Power Fuel, Remote Keyless Entry w/Integrated Key Transmitter, Illuminated Entry and Panic Button, Rear-Wheel Drive, Rear Fog Lamps, Rear Cupholder, Rain Detecting Variable Intermittent Wipers, Radio: Meridian 380W Sound System -inc: 10 capacitive touchscreen, dynamic volume control, Bluetooth connectivity and audio streaming, iPod integration, USB in center console, InControl Remote (including remote climate control, lock and unlock, beep and flash) and InControl Protect (including SOS emergency call, Jaguar optimized assistance call, stolen vehicle locator), Radio w/Seek-Scan, Clock, Aux Audio Input Jack, Steering Wheel Controls, Radio Data System and 10 Gb Internal Memory, Quasi-Dual Stainless Steel Exhaust w/Chrome Tailpipe Finisher, Proximity Key For Push Button Start Only, Power Tilt/Telescoping Steering Column, Power Rear Windows, Power Rear Child Safety Locks, Power Door Locks w/Autolock Feature, Power 1st Row Windows w/Front And Rear 1-Touch Up/Down, Perimeter/Approach Lights, Perimeter Alarm, Passenger Seat. * Stop By Today *Treat yourself- stop by Jaguar Palm Beach located at 915 S. Dixie Hwy, West Palm Beach, FL 33401 to make this car yours today! Wheels: 19 5 Spoke Alloy (Style 5035) -inc: Gloss dark grey diamond turned finish, Voice Recorder, Valet Function, Trunk/Hatch Auto-Latch, Trunk Rear Cargo Access, Trip Computer, Transmission: 8-Speed ZF Automatic -inc: 8HP45, black gearshift change paddles, Tires: 19, Tire Specific Low Tire Pressure Warning, Systems Monitor. This Jaguar XF has a powerful Intercooled Turbo Diesel I-4 2.0 L/122 engine powering this Automatic transmission. * Experience a Fully-Loaded Jaguar XF 20d R-Sport *Sport Tuned Suspension, Smart Device Integration, SiriusXM Satellite Radio -inc: 3 month complimentary service, Single Stainless Steel Exhaust w/Chrome Tailpipe Finisher, Side Impact Beams, Seats w/Leatherette Back Material, Rocker Panel Extensions, Remote Releases -Inc: Power Cargo Access and Power Fuel, Remote Keyless Entry w/Integrated Key Transmitter, Illuminated Entry and Panic Button, Rear-Wheel Drive, Rear Fog Lamps, Rear Cupholder, Rain Detecting Variable Intermittent Wipers, Radio: Meridian 380W Sound System -inc: InControl touch w/8 capacitive touchscreen, dynamic volume control, Bluetooth connectivity and audio streaming, iPod integration, HD radio, USB and navigation system w/SD card, Radio w/Seek-Scan, Clock, Aux Audio Input Jack, Steering Wheel Controls, Voice Activation, Radio Data System and 10 Gb Internal Memory, Proximity Key For Doors And Push Button Start, Power Tilt/Telescoping Steering Column, Power Rear Windows, Power Rear Child Safety Locks, Power Door Locks w/Autolock Feature. 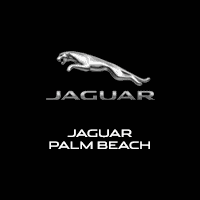 * Visit Us Today *For a must-own Jaguar XF come see us at Jaguar Palm Beach, 915 S. Dixie Hwy, West Palm Beach, FL 33401. Just minutes away!